Batelco, the principal telecommunications company in the Kingdom of Bahrain, will be host of RAG’s January 2019 conference. They will welcome RAG to their head offices for the first RAG conference in the Middle East. As with all RAG conferences, telcos and their regulators may attend for free. Academics may also attend for free if they engage in relevant research. The agenda will cover fraud management, revenue assurance, business assurance, enterprise risk management and security. Unlike other conferences we want to avoid promising speakers until we are confident they can take part, so we share the draft of our agendas online, which is updated each time a new speaker is confirmed. The following schedule shows the latest version of the agenda, or click this link to open it in a new window. Keep reading below for more details about the panels and presentations which have been lined up. Mustafa Ali, Head of Business Assurance at Batelco and the host of the conference, will give a keynote presentation discussing how he and his team assure the risks faced by his firm. Experienced revenue assurance developer Ferya Topal will talk about the upgrades implemented by her team in Turkcell. Jacob Howell will give a presentation about innovation in business analytics. Jacob oversees R&D for TEOCO, the international telecoms analytics firm. A panel of experts will explore whether there is a need to change the priorities and methods used by revenue assurance teams, in order to maintain their relevance as telco business models transform. The panellists will include Dr. Eman Gawish, Revenue Assurance General Manager at Telecom Egypt, and Anas Naser, RAFM Supervisor at Umniah. Ashwin Menon of Subex is a regular and popular speaker at RAG events. He will return to RAG to speak about the use of machine intelligence. Daniel Udochi, General Manager of Risk & Compliance Management at MTN Sudan, will give a presentation about the ways his telco has matured towards a culture that treats risk evaluation as a natural component of decision-making. Daniel and his team were recent winners at the inaugural Ethics Initiative Awards. Senior enterprise risk management (ERM) executives will analyse how the role of ERM has grown in recent years and the ways they can take advantage of improvements in technology. The moderator of the panel will be experienced risk practitioner Lee Scargall. Sanjay Rajagopalan, Managing Director of Protiviti, will be amongst the panellists. John Haraburda, Principal Solutions Engineer Director at iconectiv, will share his insights into the detection of fraud. Adil Bertal of SIGOS will give a presentation about the role of test call generators in revenue assurance. John Davies of BluGem will join a panel discussing the reasons to use active testing to find leaks and frauds, and how the nature of testing is evolving to reflect changes in telecoms products and services. Don Reinhart, CTO and COO at LATRO Services, will give a keynote presentation about security for the internet of things. Integrated risk management is a necessity when dealing with the internet of things, and Carlos Marques of WeDo will explain why. Alain Kazan, Head of Fraud at Zain Iraq, will talk about his function implementing a NoSQL database that collates more data than ever before, and how this data can be used to better understand subscribers, fight fraud, and power decision-making more generally. Experienced panellists will discuss the development of new techniques in fraud management and the emergence of new kinds of fraud. Amongst them will be audit director and former fraud investigator Lisa Meeks. The moderator will be Luke Taylor, a veteran of the anti-fraud industry. Mohamed Jaffar, Head of RAFM at MTN Afghanistan, will give a presentation about the impact of refiling on Middle Eastern countries. He will share results from his telco’s refiling detection and mitigation project. The RAG Learning online education platform is bringing high-quality professional training content to risk and assurance professionals worldwide. RAG Chairman Rob Chapman will tell the audience about the plans to extend the content on RAG Learning in 2019, and about the other online services supported by RAG. Can wholesale carriers do more to prevent fraud? That will be the question discussed by a panel including Bryan Rowe, Director of analytical intelligence experts Six Degrees. Award-winning consultant Geoff Ibbett will tell the audience about RAG’s Revenue and Cost Risk Catalogue, and how they can use it to identify previously undiscovered leakages and assess the benefits that would be gained by implementing new controls. Veteran professionals will review the conference and comment on the status of the industry for our closing ‘wise heads’ panel. The moderator will be RAG Chief Exec and Commsrisk Editor Eric Priezkalns. The conference will take place at the Batelco Staff Centre, alongside their headquarters. The address is: Road 1425, Al Hamala, Bahrain. The audience will be seated in the auditorium at Batelco’s superb staff centre, which is used to provide leisure facilities for Batelco employees as well as holding meetings. The room can accommodate slightly over 100 participants, and all the indications suggest it will be filled to capacity. Free lunch and refreshments will be served during both days of the conference, meaning attendees can focus on meeting and speaking with each other. The excellent breakout facilities alongside the auditorium means attendees might enjoy a quick game of table football during the coffee break! The staff centre will also be our venue for the complimentary networking buffet on the first evening of the conference. At RAG conferences we focus on high-quality presentations and panel discussions during the day, then make it easy for everyone to relax and network in the evenings. 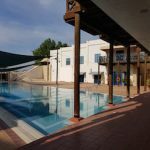 On the first evening there will be a complimentary buffet served alongside the swimming pool at the Batelco staff centre. On the second evening attendees will be welcome to join us for food and soft drinks at the Westin City Centre Hotel. We recommend that everybody stay at Westin City Centre Bahrain, on Sheikh Khalifa Bin Salman Highway, Al Seef. RAG attendees staying at the Westin on the nights of the 20th, 21st, 22nd, 23rd or 24th January will enjoy a significantly discounted rate of BHD45 for single rooms and BHD53 for double/twin rooms (plus service charges and taxes). These rates also include breakfast. To obtain the discount, please book online using this link. Attendees of RAG events are responsible for booking and paying for their own accommodation. RAG conference attendees staying at the Westin will benefit from free transportation between the hotel and conference venue in the morning and evening. The Westin will also be the location of the networking dinner on the second evening of the conference. The location of the Westin is ideal for visitors to Bahrain. It is just a 15-minute taxi ride from the airport, and is situated alongside the most popular shopping mall in the country. Contrary to our previous advice, we now recommend that attendees requiring a visa apply through the Bahrain government’s online portal at https://www.evisa.gov.bh/. Visa applicants need to submit copies of their passport, their return flight and hotel booking. They will receive an email notification of whether their application is successful, and this will allow them to print a copy of their visa from the portal. Online applications must be submitted more than 5 days in advance of the expected date of entry. Here is a list of other local hotels. Any conference attendee choosing to stay at one of these hotels must make their own arrangements for transportation to Batelco’s offices. 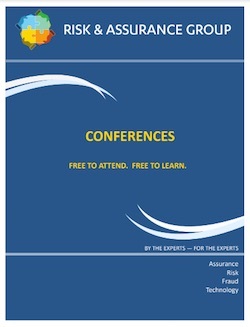 The printable PDF conference brochure can be seen below, or download a copy by clicking here. Managers and staff employed by telcos or telecom regulators may participate in RAG Bahrain for free, so long as they register using the email address associated with their employer. Academics who engage in relevant research may also register for free. Registrations are managed via Eventbrite; click the button below to begin. Please complete all the fields to register. Applications from prospective sponsors or other prospective attendees are no longer being considered. RAG is a not-for-profit enterprise, and telcos and regulators may attend our events for free, as do many specially invited experts. That means we rely on the generosity of the businesses that host our meetings and pay for everything from our web server to the coffee we serve attendees. We would like to thank the following businesses for the contributions that have made it possible to run RAG Bahrain 2019.